Critically endangered Vipera anatolica (Eiselt et Baran, 1970) is the rarest and least known species of small vipers of the subgenus Pelias. Only five specimens were described in the scientific literature (Nilson and Andren, 2001). After being discovered and precisely described in 1969, the type locality has been visited by numerous herpetologists between 1980 and today. However, the species was not seen for almost 30 years, so current information about the species’ population structure and dynamics is virtually nonexistent. In 2013 with the financial support of the Mohamed bin Zayed Species Conservation Fund, a joint team of herpetologists from Turkey, Ukraine, Germany and Russia began a project aimed to shed light on this enigmatic snake and provide necessary information for a conservation strategy. The first visit already brought success—in May 2013, we found five specimens of this species including the first adult males that had ever been seen. During 2013 season, we observed 17 specimens altogether in three different subpopulations in the Kohu-Dag Mountain massive in the Antalya region of south-western Turkey, the only known locality of this species thus far. 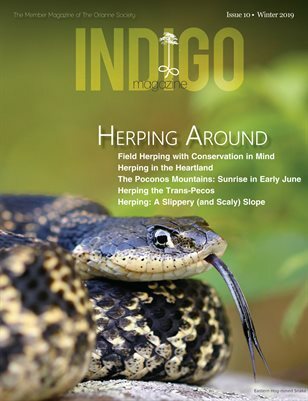 The project includes a monitoring program to mark snakes in order to be able to identify them later and to estimate population sizes using mark-recapture methods. We are also describing morphology of snakes, collecting necessary data by measuring and weighing them, collecting genetic samples by non-invasive methods, and gathering data about phenology, reproduction, feeding, thermobiology and so on. According to the preliminary results, this species share similar ecological traits with other temperate small Eurasian Vipers, especially to the South-European mountainous species of Meadow Vipers, V. ursinii. Being restricted to this area, V. anatolica is indeed highly endangered and sensitive to many possible threats. The project is still in progress, but it is already clear that populations are quite healthy and abundant comparable to other mountain viper species. However, the population in Kohu-Dag is highly isolated and shows traces of high fragmentation. Snakes were not found in most of Kohu-Dag plateau, likely due to high grazing activity which leads to degradation of vegetation and decrease of abundance of potential prey (different species of Orthoptera). All subpopulations found live near the highly-protected cedar forest reserve “Çığlıkara Ormanɪ” and are restricted to a small territory with protection from grazing, denser grass coverage and higher grasshopper diversity. They also lay inside a narrow span of altitudes (1840-1950 m.a.s.l.). The project is continuing into this season, and among our main targets is the quest for additional populations on neighboring mountains.